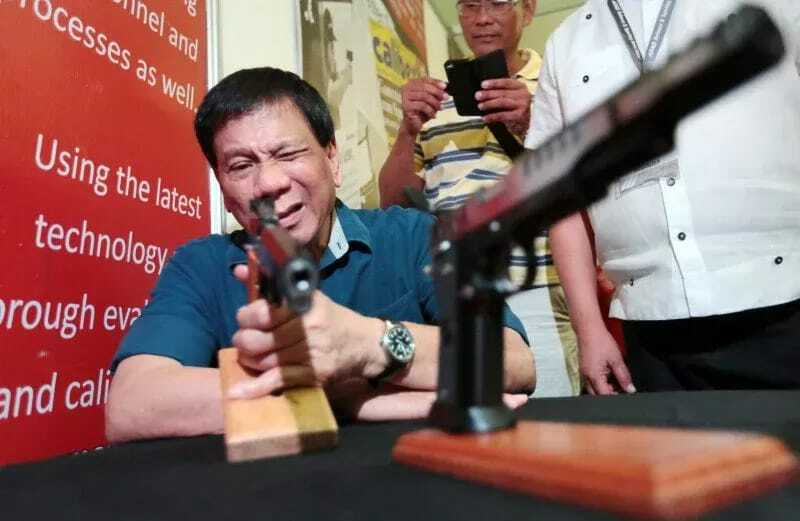 DAVAO CITY, Philippines - Incoming president Rodrigo Duterte has revealed that 35 local executives who are apparently involved in illegal drug networks in front of Congressional leaders. Stating his plans to eliminate them nationwide, the 71-year-old outgoing mayor of Davao City said he will ask the elected officials to immediately resign. Moreover, he also revealed his plans to eliminate members of the Philippine National Police (PNP) involved in the illegal drug industry. In an interview with ABS-CBN News, Quezon Representative Danilo Suarez said a lighter sentence could be given if the suspect confesses. "Parang binibigyan nya ng leeway ngayon na confess. Siguro lighter sentence dahil nagconfess ka na pero he is not saying clemency or pardon,” Suarez said. Although Suarez refused to name the local leaders, he hinted that these could be mayors or governors. During his thanksgiving speech last week, the incoming president asked three police generals based in Camp Crame supposedly involved in the illegal drug trades to vacate their posts immediately. However, PNP Chief Ricardo Marquez said on Monday, June 6, that the PNP has no solid evidence yet linking the involvement of the three police generals in illegal drugs. Meanwhile, incoming PNP Chief Supt. Ronald Dela Rosa disclosed that about 1% of the 160,000 police force had connections with the illegal drug network. In a bid to eliminate criminality particularly the prevalence of illegal drugs in the country, Duterte promised to give P1-billion worth of unspent campaign funds as bounty for the arrest or killing of 200 drug lords in the Philippines. The outspoken mayor vowed to give P 5 million as bounty for every drug lord captured.